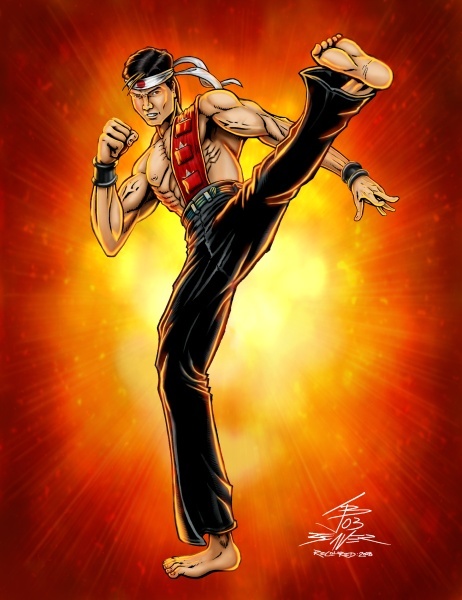 As a fan of Martial Arts, Quick Kick is one of my most favorite G.I. JOE characters ever. Besides being a nice break from . Except for the mistake with his kicking foot, this is one of my favorite computer-colored pics so far. In the 2003 coloring job, you could see the whole training area, but it just didn't fit right when I put it all together. So I came up with the idea of putting it in a circle and tinting it red to match QK's bandanna. Not only that, but I reversed it horizontally so the items in the background would frame QK's body better. 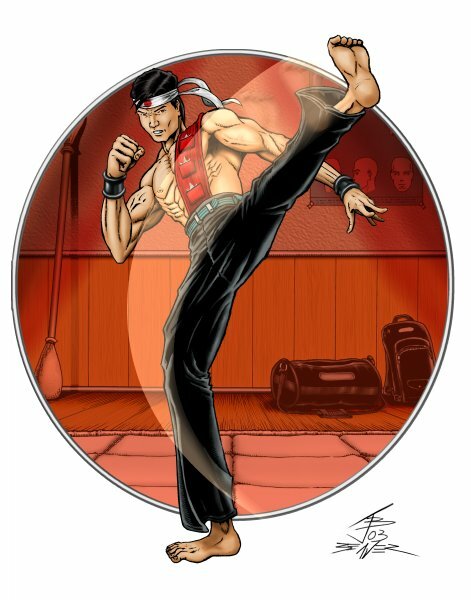 The 2008 version has a fixed kicking foot, a few coloring improvements and an explosion background.